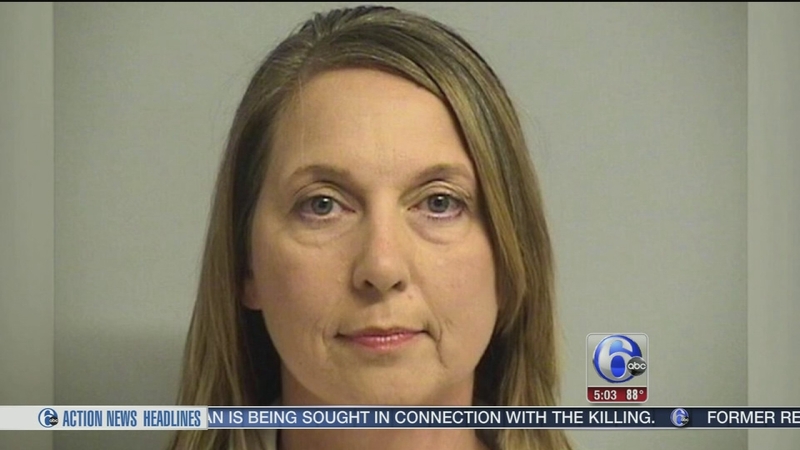 TULSA, Okla. -- A jury on Wednesday acquitted of first-degree manslaughter a white Oklahoma police officer who says she fired out of fear last year when she killed an unarmed black man. Jurors deliberated for just over nine hours before finding Tulsa officer Betty Jo Shelby not guilty in the Sept. 16 shooting of 40-year-old Terence Crutcher. A lawyer for Shelby said the officer was "elated" that the jury found her not guilty. "She's ready to get back to her life," Defense Attorney Shannon McMurray said. But Jerad Lindsey, chairman of the Tulsa Fraternal Order of Police, said the city would have to heal after the tragedy. "Tulsa is going to have to figure out how to get its arms around this." he said after the verdict was announced. Shelby said she fired her weapon out of fear because she said he didn't obey her commands to lie on the ground and appeared to reach inside his SUV for what she thought was a gun. Crutcher was unarmed. Prosecutors told jurors that Shelby overreacted. They noted Crutcher had his hands in their air and wasn't combative - part of which was confirmed by police video taken from a dashboard camera and helicopter that showed Crutcher walking away from Shelby, hands held above his head. Shelby's attorneys argued that in the two minutes before cameras began recording the encounter, Shelby repeatedly ordered Crutcher to stop walking away from her and get on the ground. An autopsy showed PCP was in Crutcher's system, and police said they found a vial of it in his SUV. Crutcher's family said police attempted to "demonize" Crutcher over the drug possession to deflect attention from the fact officers didn't find a gun inside his SUV. Tulsa County District Attorney Steve Kunzweiler charged Shelby six days after the shooting. An affidavit accused her of "becoming emotionally involved to the point that she overreacted." Defense attorney Shannon McMurray argued that prosecutors rushed to charge Shelby for political reasons, fearing civil unrest like the angry street protests that erupted in Charlotte, North Carolina, after the fatal shooting of 43-year-old Keith Lamont Scott four days after Crutcher was killed.